The Nooteboom OVB BALLASTTRAILERS are specially designed for the efficient transport of crane ballast and other heavy concentrated loads. In 1985 Nooteboom was the first to introduce a 6-axle OVB BALLASTTRAILER in the European market. 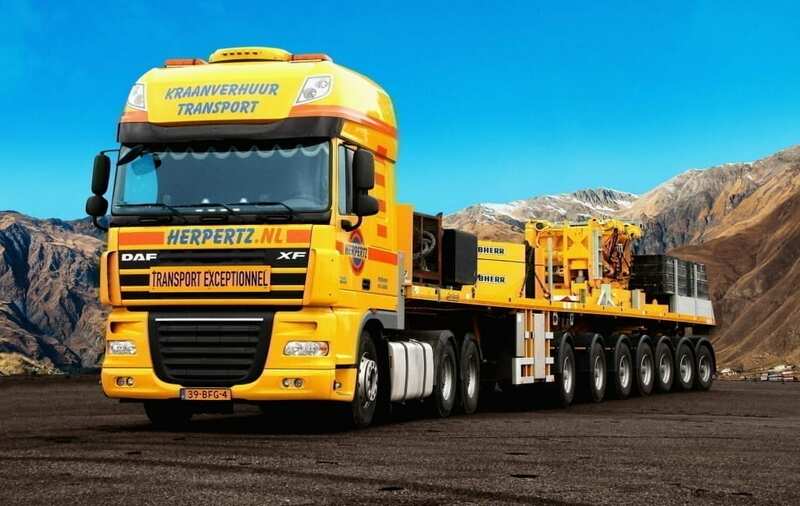 Specifically for the transport of ballast for mobile cranes, this innovative Nooteboom concept was granted permission to drive on the roads in the Netherlands with a gross train weight of up to 100t. Other European countries followed and Nooteboom has been the expert in the field of ballast trailers ever since. Due to the unique central box-section main beam, made of high-grade steel, the Nooteboom OVB BALLASTTRAILER has great torsional stiffness and is extremely stable when loaded. 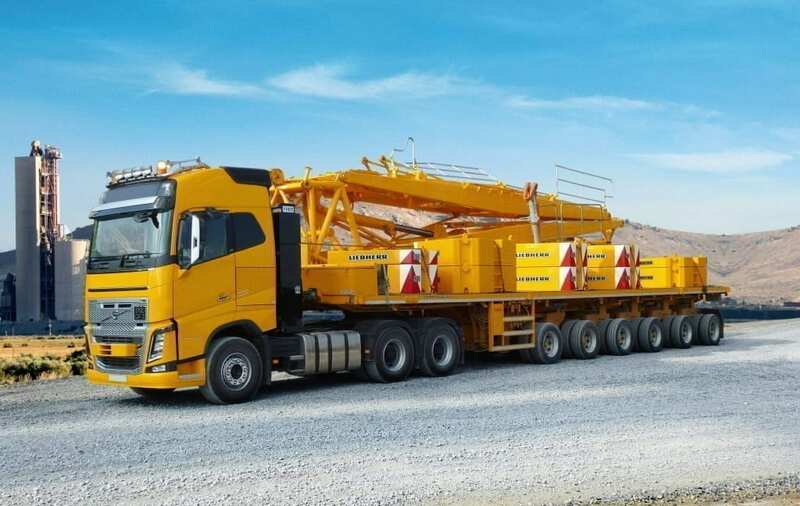 Without adding unnecessary dead weight, the chassis has been specially reinforced to handle the very high load capacity and extreme concentration of the load. In unloaded position the load floor is slightly arched (cambered) to keep any sagging of the floor, when loaded, to a minimum. The OVB BALLASTTRAILER is delivered as standard on hydropneumatic suspension, with maximum stroke and lateral stability. This enables the OVB BALLASTTRAILER to follow the crane onto the building site without any problems. If required the ballast trailer can also be supplied with air suspension, if driving on rough and bumpy terrain is not a common occurrence. Maximum manoeuvrability is vitally important for a ballast trailer. After all, the load must be unloaded close to the crane, even when space is at a premium. The hydraulic turntable steering with its very large steering angle and steering accelerator in the gooseneck give the Nooteboom OVB BALLASTTRAILER outstanding manoeuvrability. The simplicity of the turntable steering also results in very low maintenance costs and minimal tyre wear. And what’s more, with the generous stroke of the hydraulic suspension, uneven terrain on building sites causes no problems. Since 2015 the latest Nooteboom OVB BALLASTTRAILERS with 5 axles or more are equipped with countersteering front axles instead of self-tracking front axles. With countersteering the front axles are steered in opposite direction to the rear axles via a steering rod. Steering the front axles along with the tractor makes for ideal steering characteristics. The turning circle while reversing is even smaller and tyre wear is reduced to a minimum. This optimisation further reduces the running costs. Tyres 275/70R22.5 or 385/65R22.5The OVB BALLASTTRAILER’s standard equipment includes TÜV-certified lashing eyes, stake pockets and manual steering. Get in touch with us and we help you out.